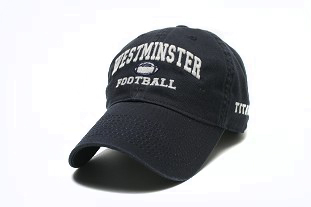 Two way stretch fit cap with Westminster Titans embroidered on front. UA logo is embroidered on left side. 100% polyester. Available in Navy or Gray. 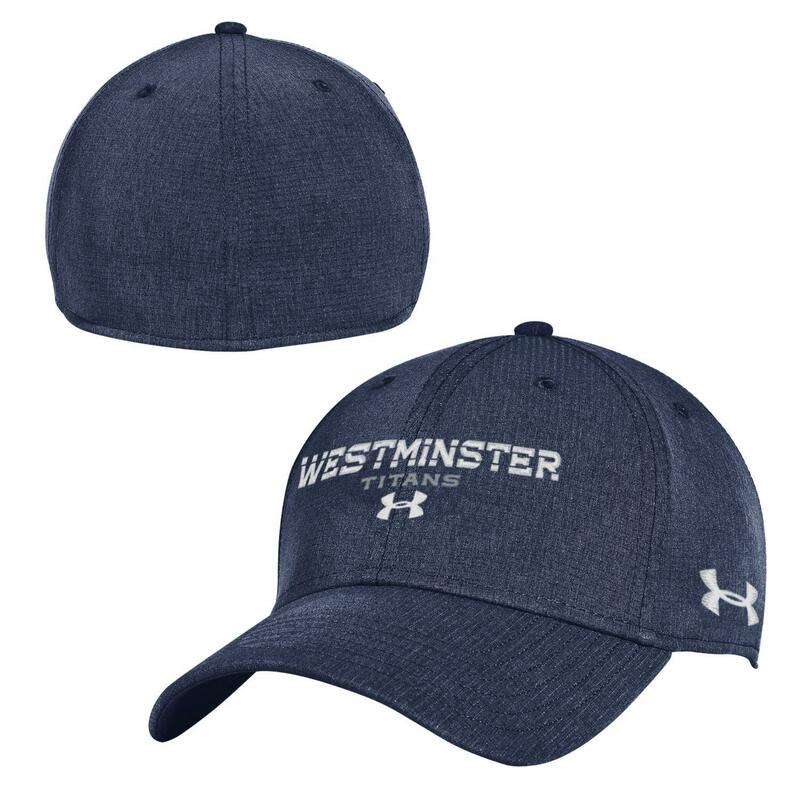 Please select option for Under Armour Airvent Cap-Navy or Graphite Gray. Relaxed twill adjustable cap. Unstructured low profile fit. Fabric strap closure. 100% cotton twill. Available in stone with navy. 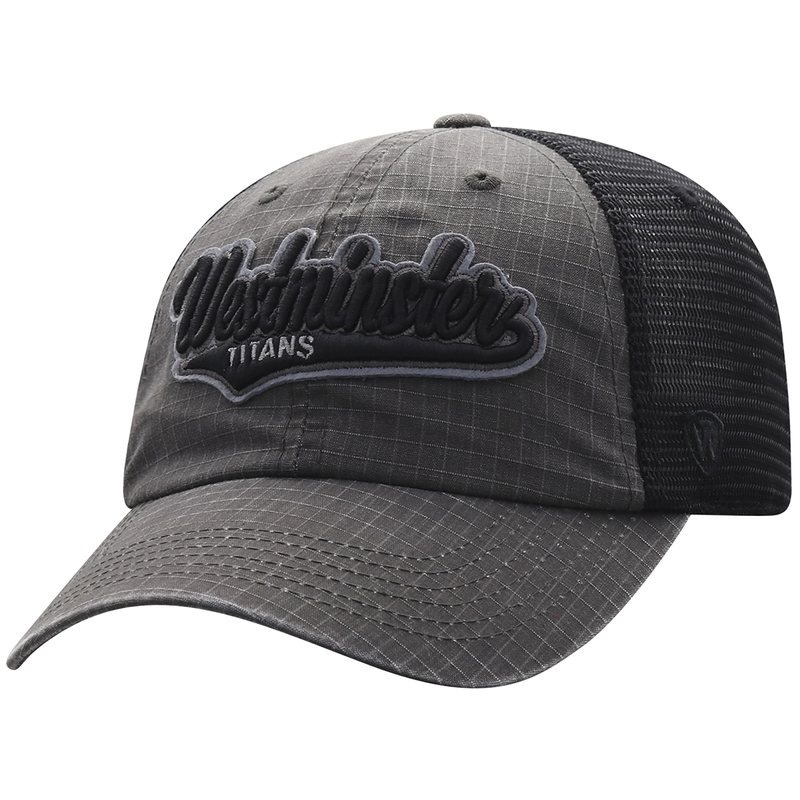 Legacy Structured Cap has super soft mesh and snap back closure. 60 cotton/40 polyester. Available in Navy. Relaxed twill adjustable cap. Unstructured low profile fit. Fabric strap closure. 100% cotton twill. Available in khaki. Unstructured ball cap in washed cotton, with adjustable fabric slide closure in back. 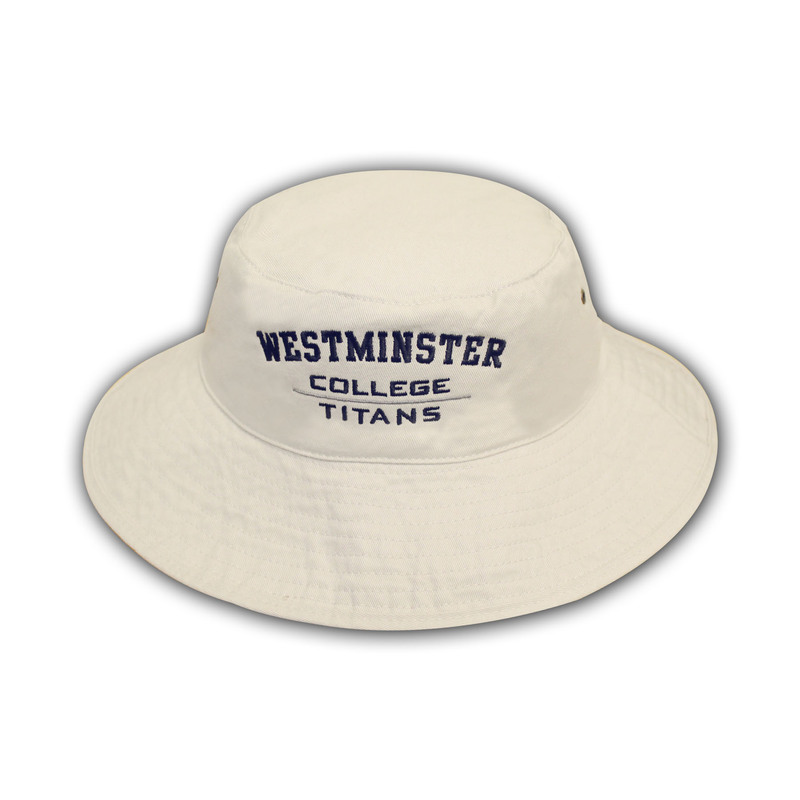 Westminster and sport on front and Titans embroidered on side. Available in Navy. One size fits all. 100% cotton. 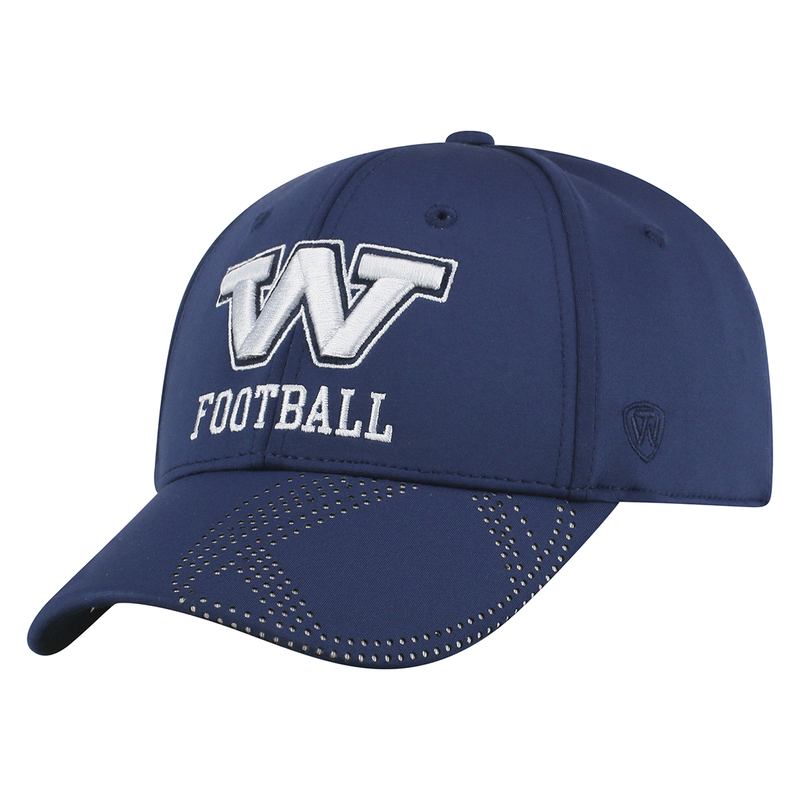 Please select option for Legacy Sports Ballcap-- all sports and marching band. Unstructured ball cap in washed cotton, with adjustable fabric slide closure in back. 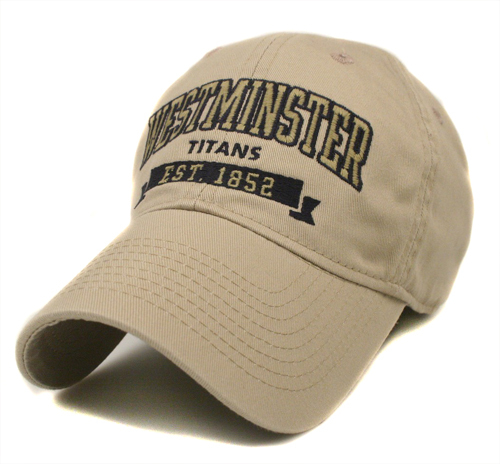 Westminster with Alumni, Dad, or Grandpa on front and Titans embroidered on side. Available in Navy. One size fits all. 100% cotton. 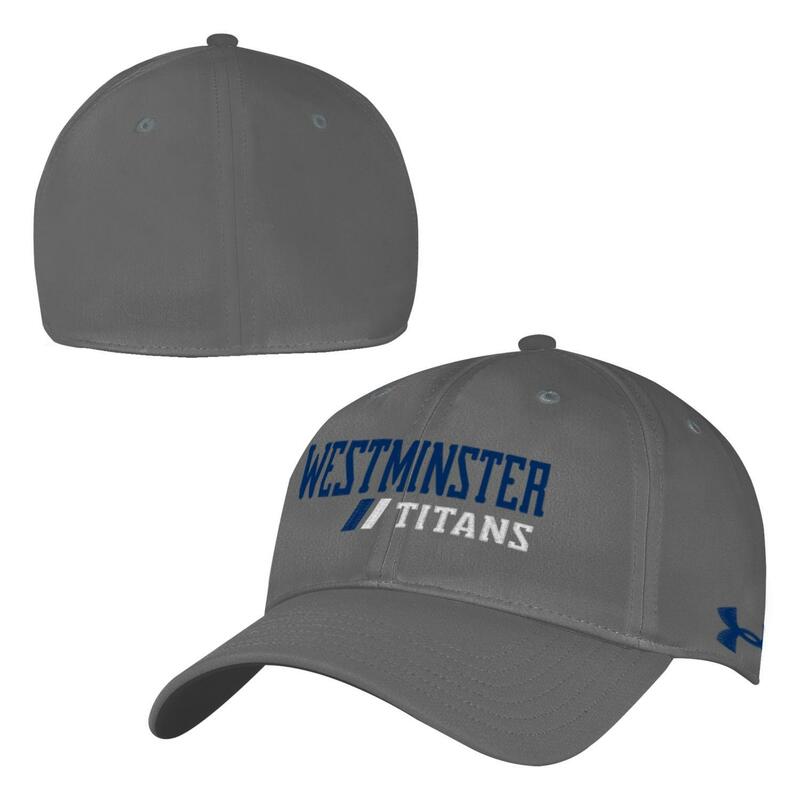 Please select option for Legacy Sports Ballcap-- Dad, Grandpa or Alumni. 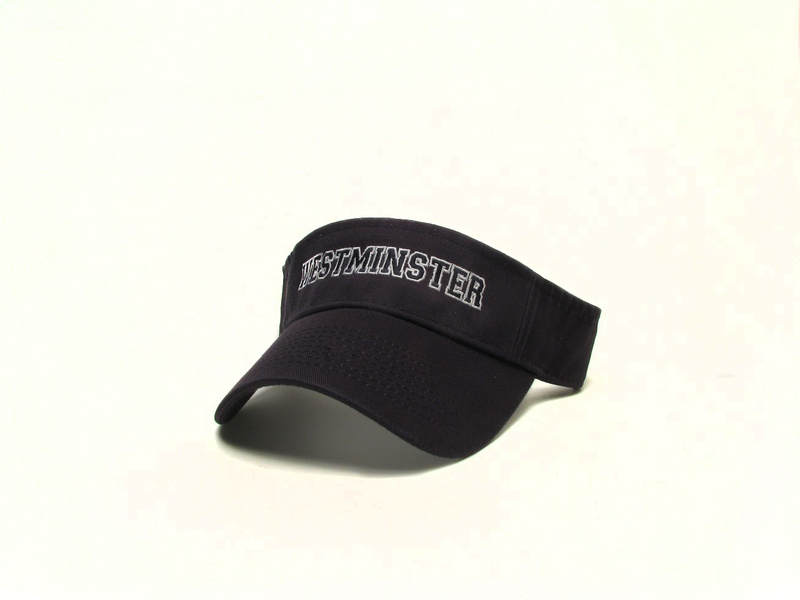 Legacy relaxed twill visor is constructed of classic washed cotton with a 2 inch low rise front panel. 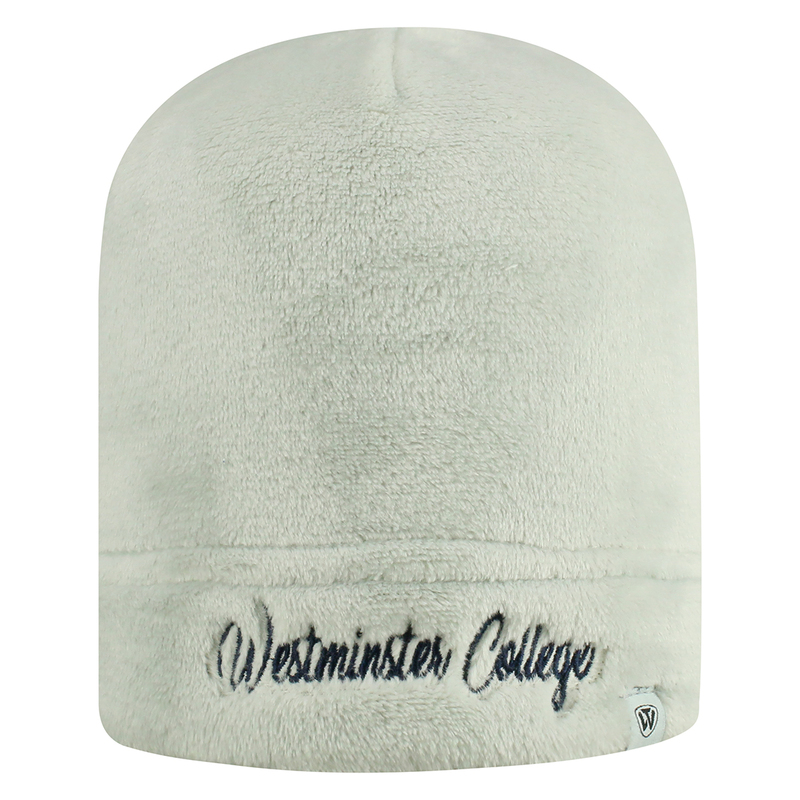 Westminster embroidered in white. Rear Velcro closure. 100% Cotton Twill. Available in Navy, Dark Gray or Tan. 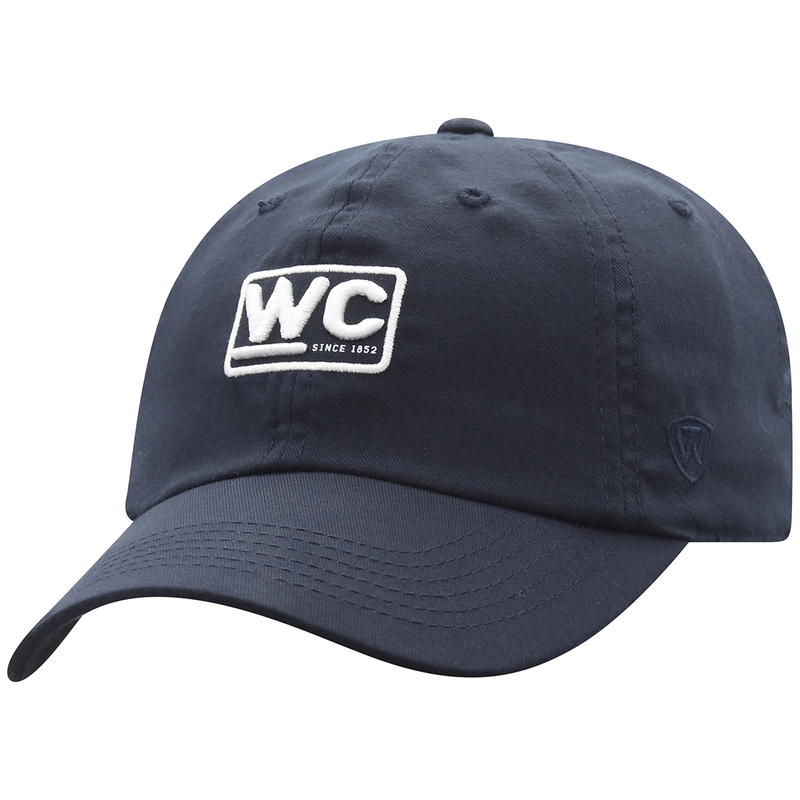 Please select option for Legacy Relaxed Twill Visor- Navy, Dark Gray or Tan. 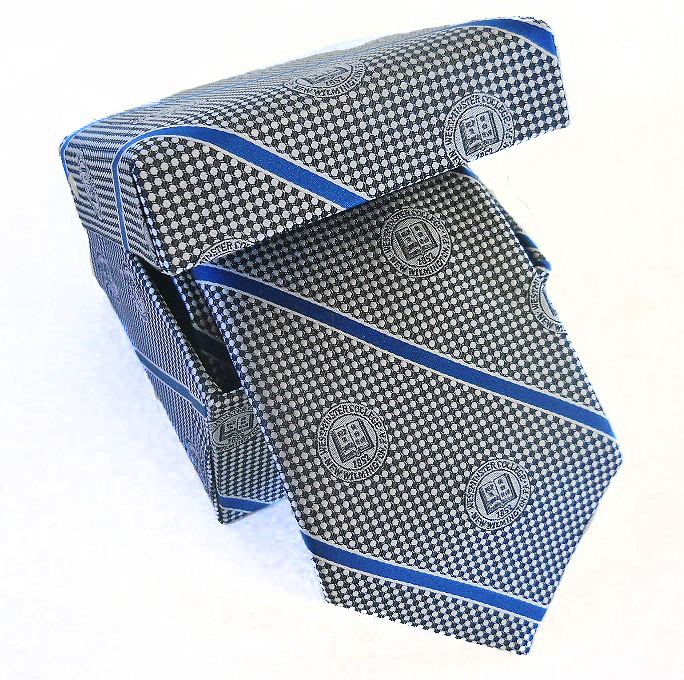 Westminster College Silk Tie and matching fabric box set features the school seal on a textured nail head background. Tie is 100% silk and loom woven. Available in silvery gray. 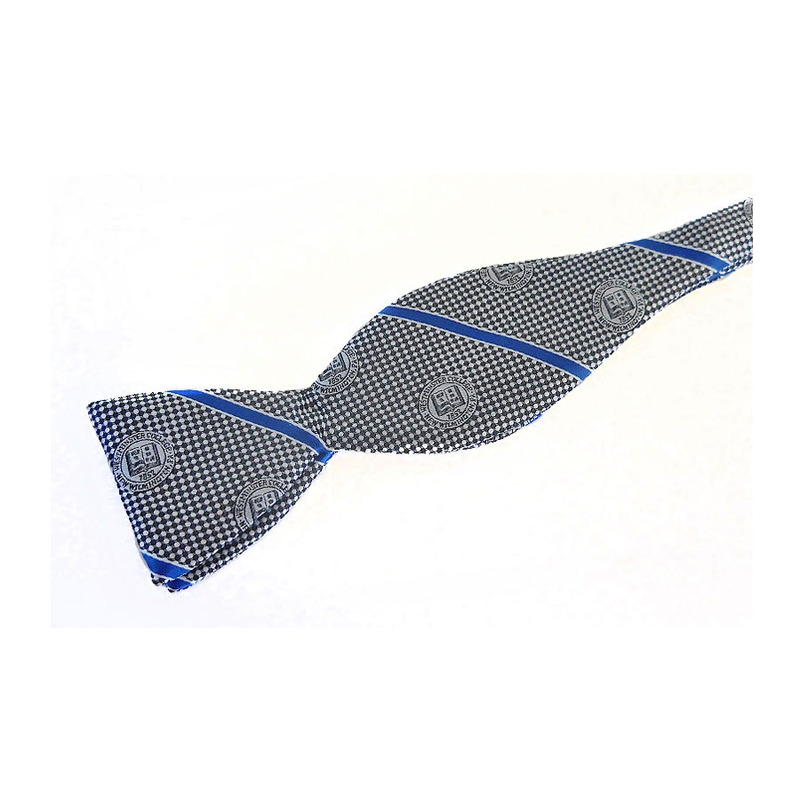 Westminster College Silk Bow Tie features the school seal on a textured nail head background. Tie is 100% silk and loom woven. Available in silvery gray. 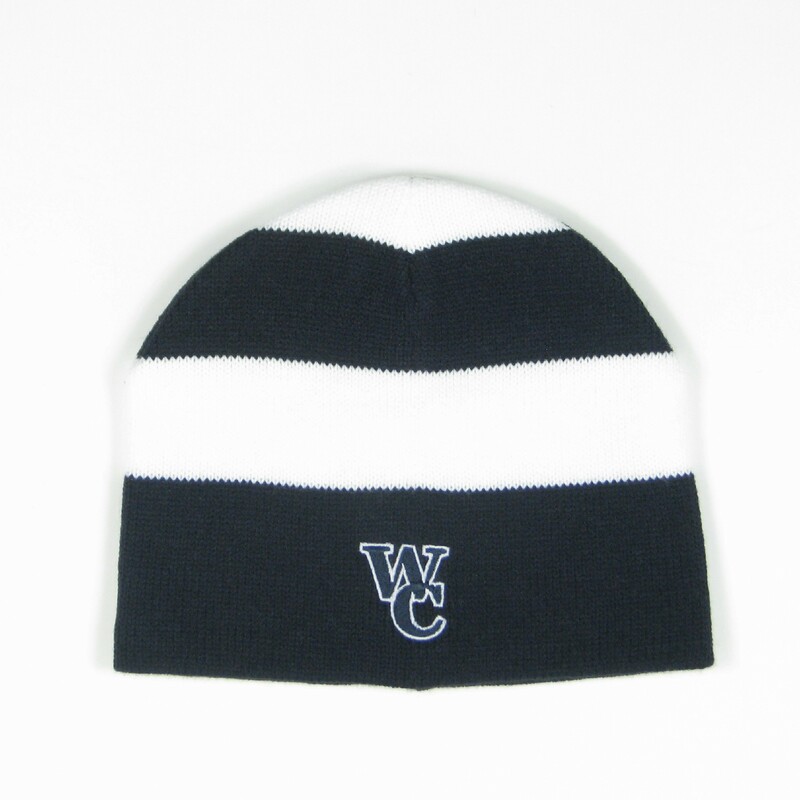 Legacy navy blue and white rugby stripe beanie has WC applique. 100% acrylic knit. Legacy Tall Non-Cuff Beanie is made of 100% acrylic yarn. Available in Navy. Legacy Alpine Beanie is made of soft 100% acrylic yarn. Available in Navy. 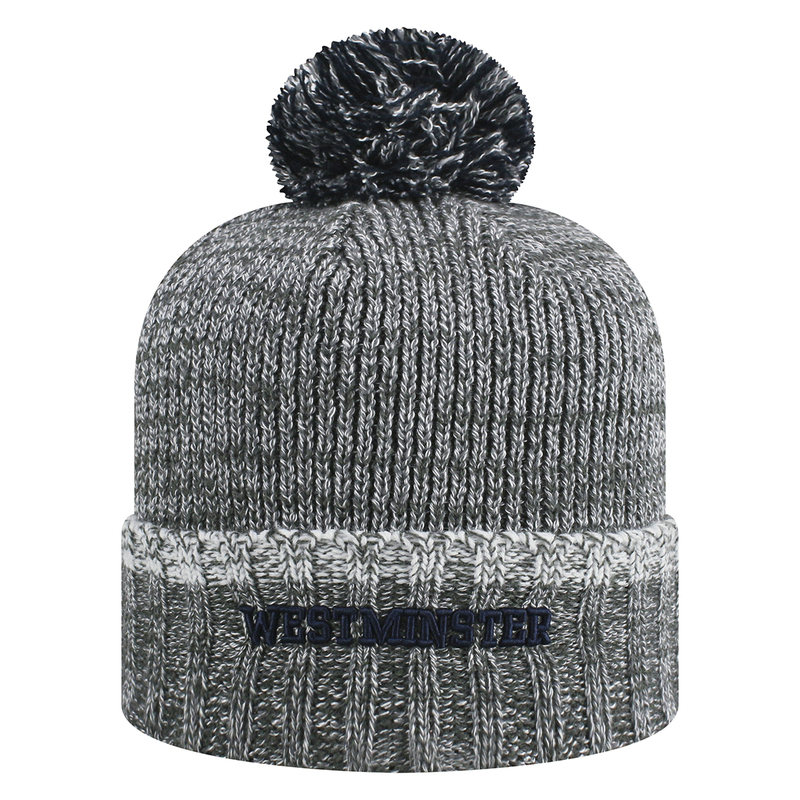 Traditional fit Coldgear beanie. 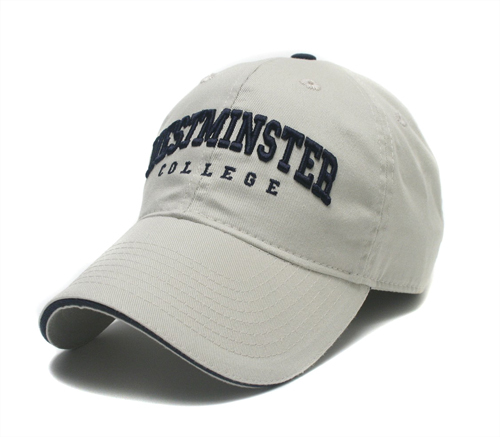 Front embroidered with Westminster College. Back embroidered with UA logo. 100% polyester fleece. Available in Navy. 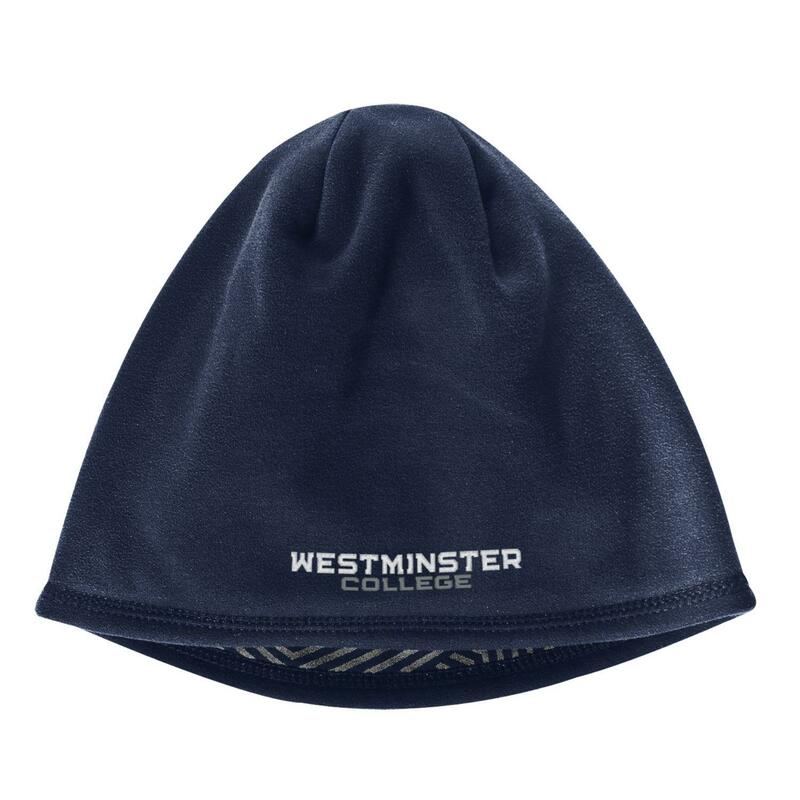 Please select option for Under Armour Element Beanie- Navy. Holloway Ascent Beanie is warm and soft made from 100% acrylic rib knit with faux fur pom-pom on top. Holloway Ascent Scarf is warm and soft made from 100% acrylic rib knit. 7inches wide by 74.5 inches. 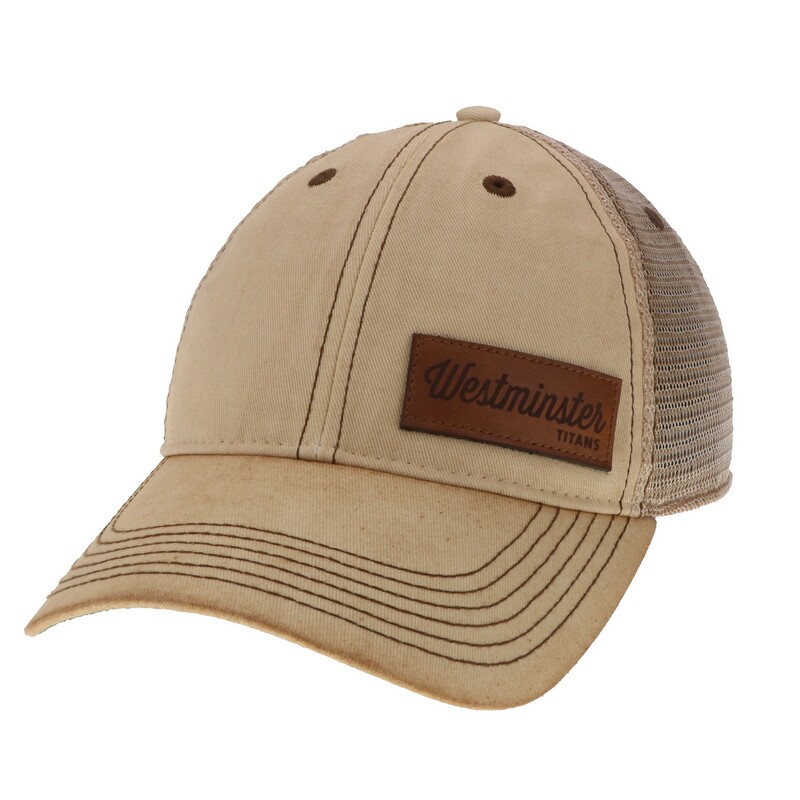 Kalahari Washed Twill River Hat features brass side eyelets and adjustable chin cord. 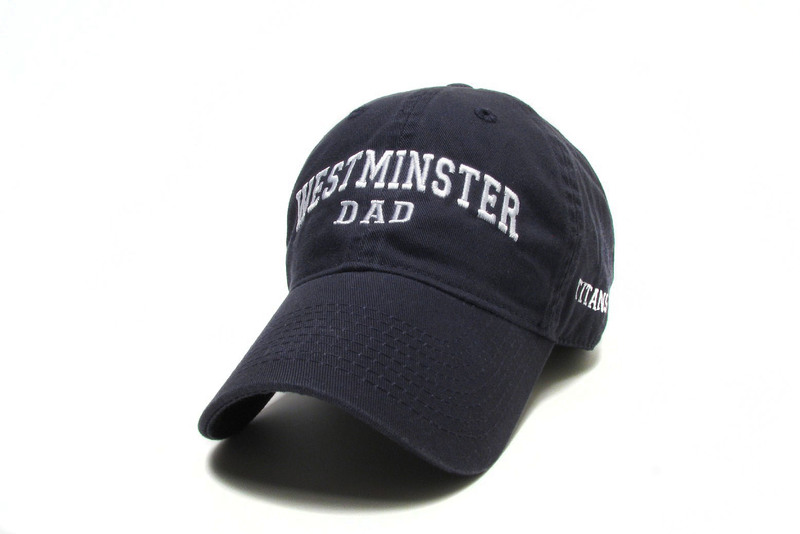 Embroidered lettering in navy. Available in Khaki. Please select option for Kalahari Washed Twill River Hat-Khaki. 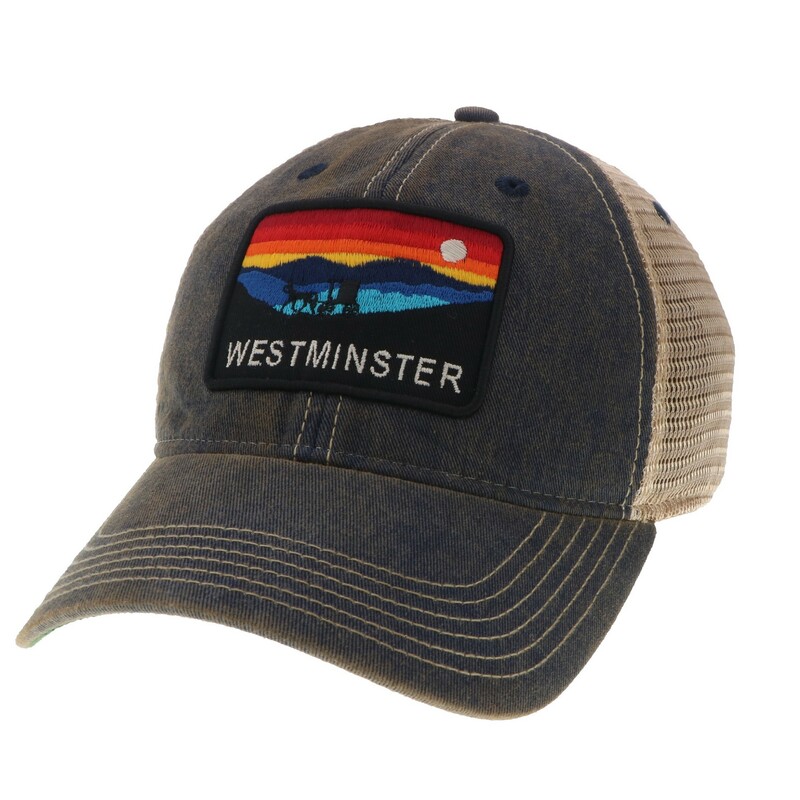 Legacy All Terrain Relaxed Twill Hat is super soft with snap-back closure featuring American Flag above brim, W embroidered on hat side and Westminster embroidered on back. Available in Digital Camo. 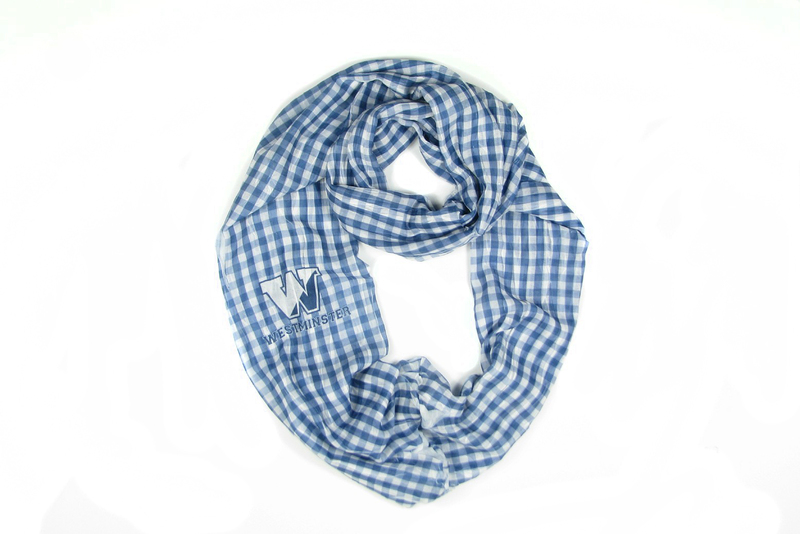 Legacy Brand Westminster Gingham Infinity Scarf is stylish and fun. 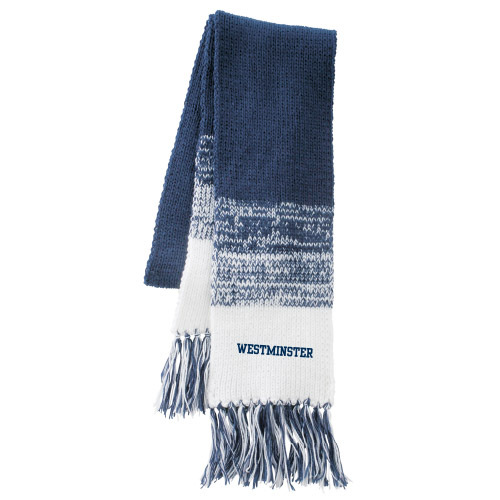 This lightweight infinity scarf measures 17"x78" and is available in a blue and white plaid with W and Westminster imprint. 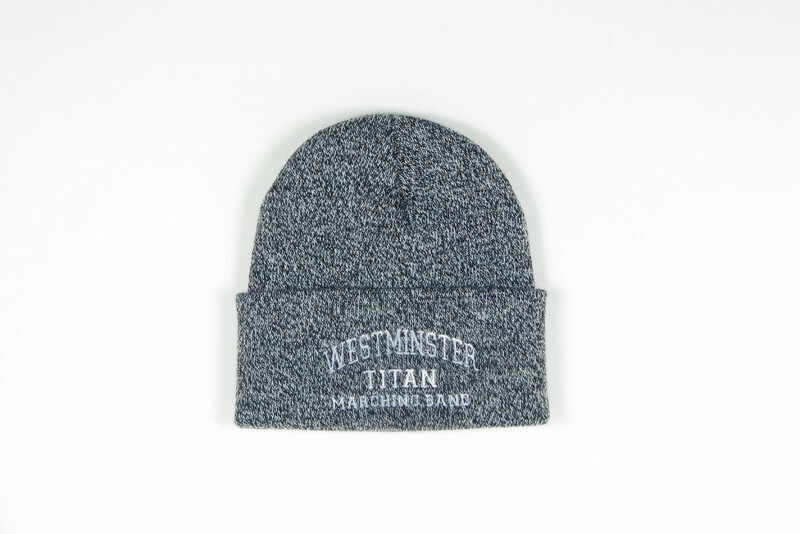 Legacy Marled TITAN MARCHING BAND Cuff Beanie features embroidered lettering on cuff. 100% acrylic yarn. Available in Navy. 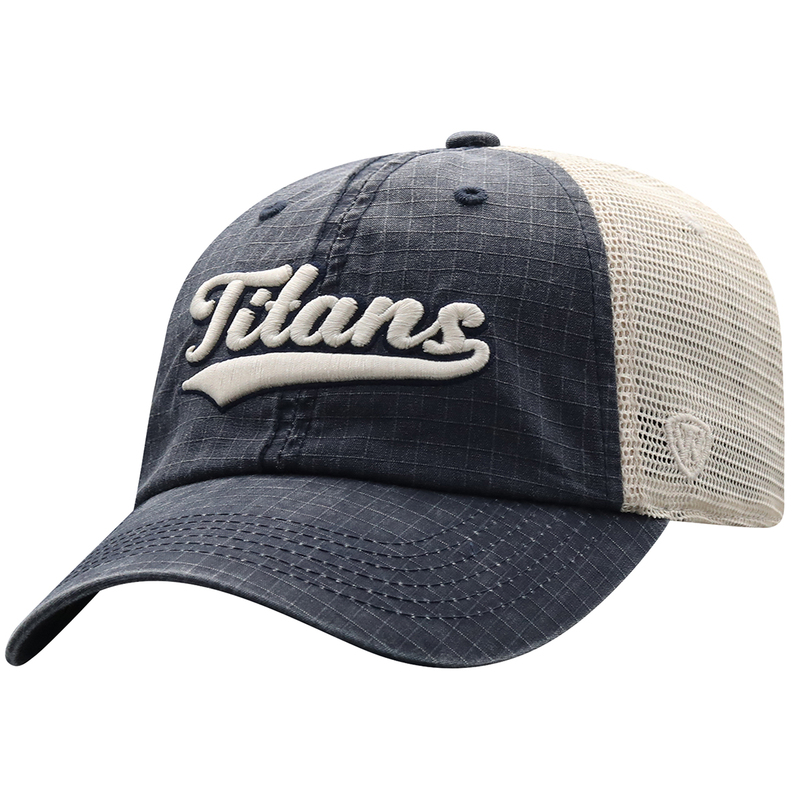 Legacy Old Favorite cotton twill cap has super soft mesh and snap back closure. 60 cotton/40 polyester. Available in "Dirty Tan". 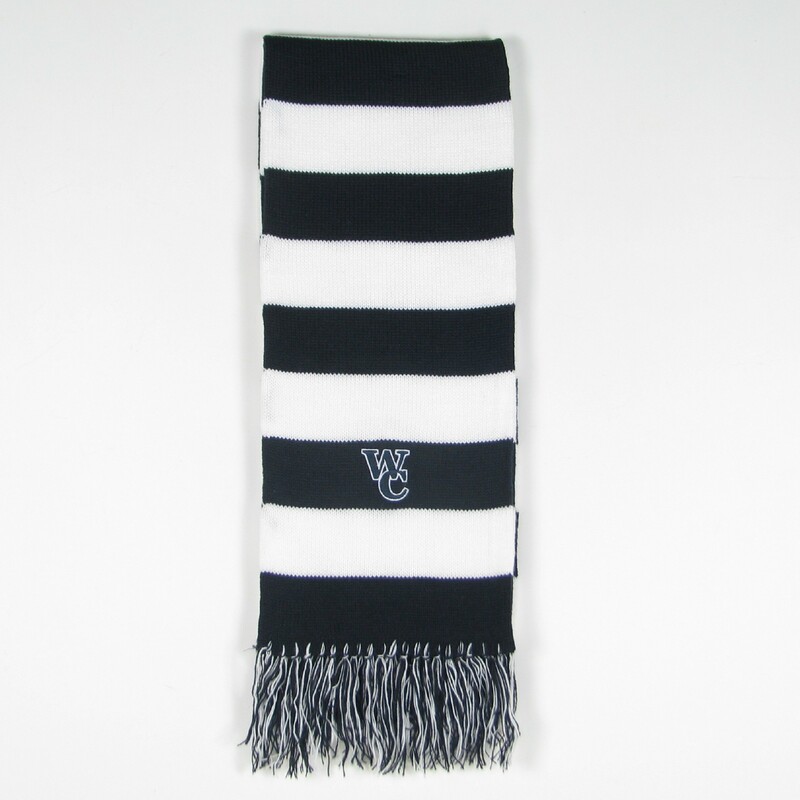 Legacy navy blue and white rugby stripe scarf has WC applique. 100% acrylic knit. Unstructured ball cap in washed cotton, with adjustable fabric slide closure in back. Available in Navy. One size fits all. 100% cotton. 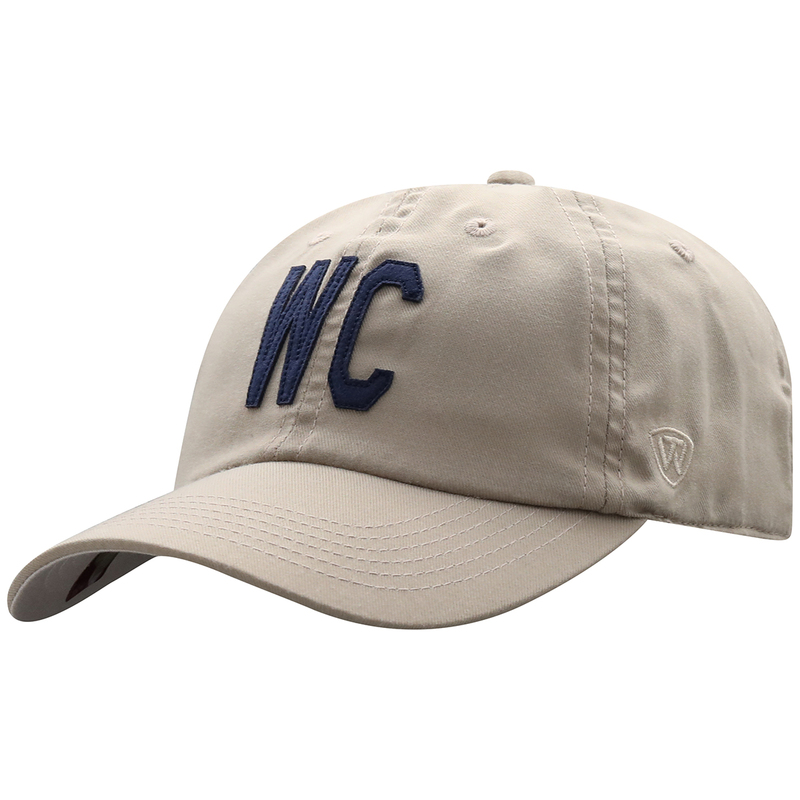 Unstructured ball cap in washed cotton, with adjustable velcro closure in back. Available in Navy. One size fits all. 100% cotton twill. Top of the World "Broadcast" Cap features adjustable strapback closure. 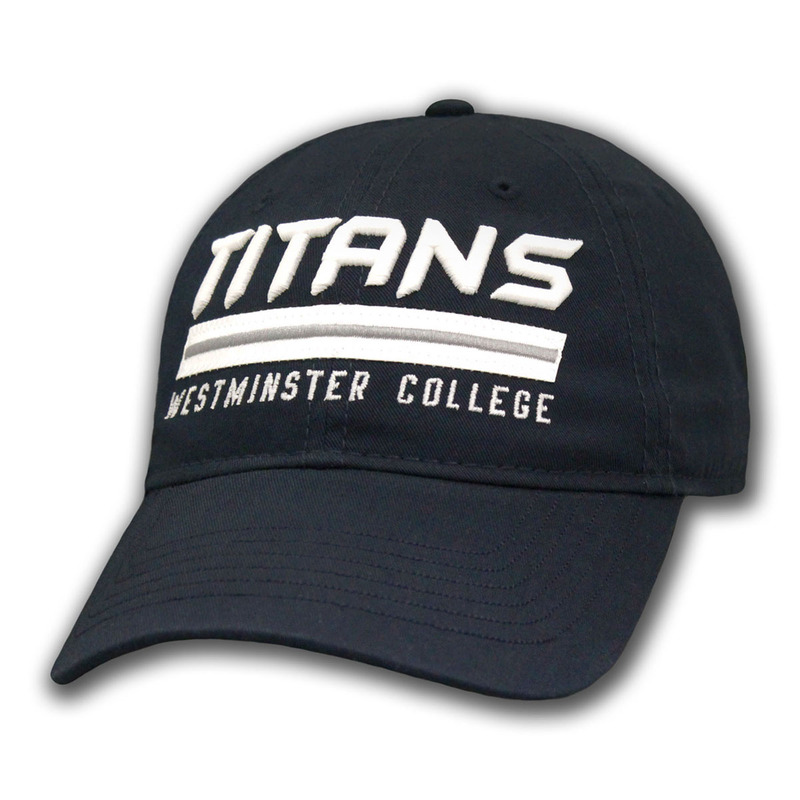 Constructed of soft combed polyester navy fabric, with 3D embroidered lettering on front, and vertical embroidered TITANS on back. 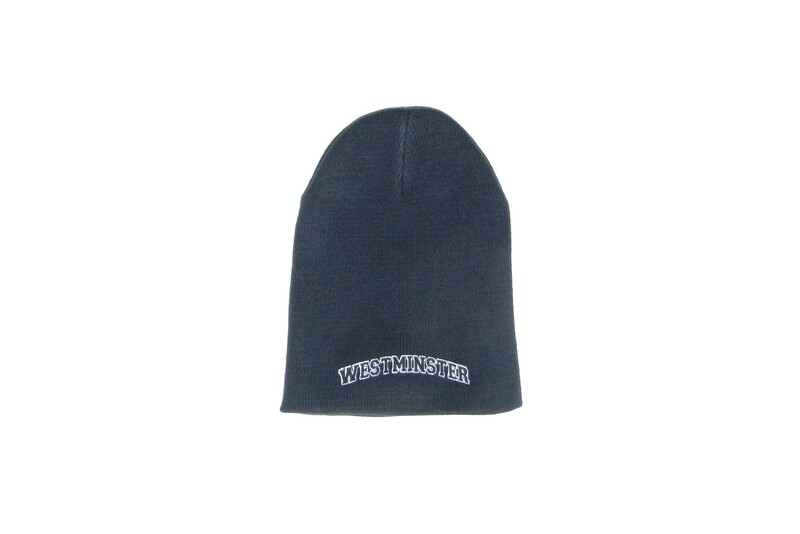 Traditional fit soft fleece beanie. 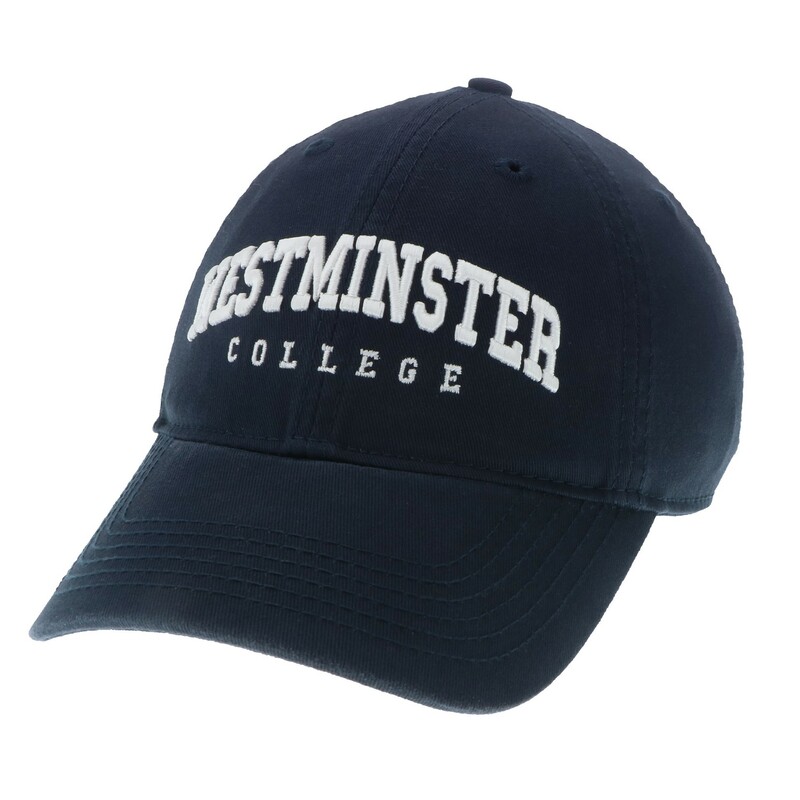 Front embroidered with Westminster College in navy thread. 100% polyester fleece. Available in Light Gray. Top of the World "Dazed" Cap is constructed of black fabric/navy undertone with 1Fit MemoryFit infused band. 3D embroidery on front. Top of the World "Faboo" Cap has two toned (navy, light gray) fabric and constructed with 1Fit MemoryFit infused band with athletic mesh back. 3D embroidery on both front and back. 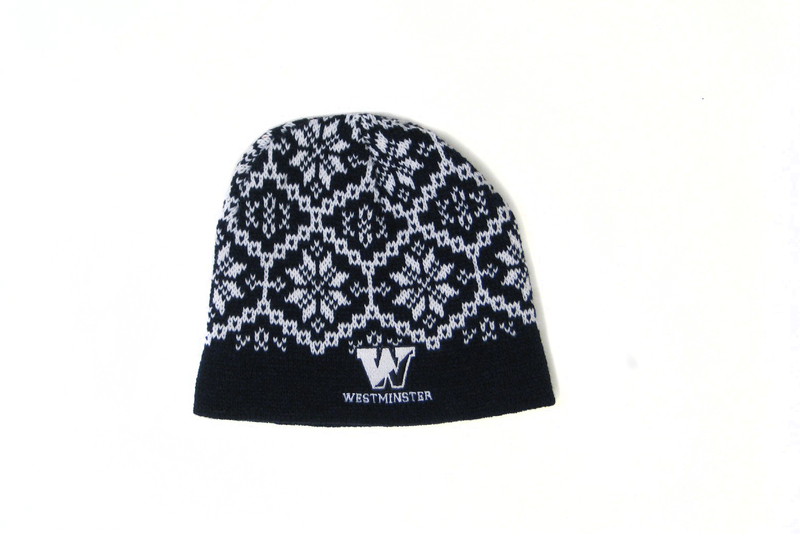 Top of the World "Frostbite" Knit Beanie is cuffed with pom and 3D embroidered lettering. Super soft acrylic knit. 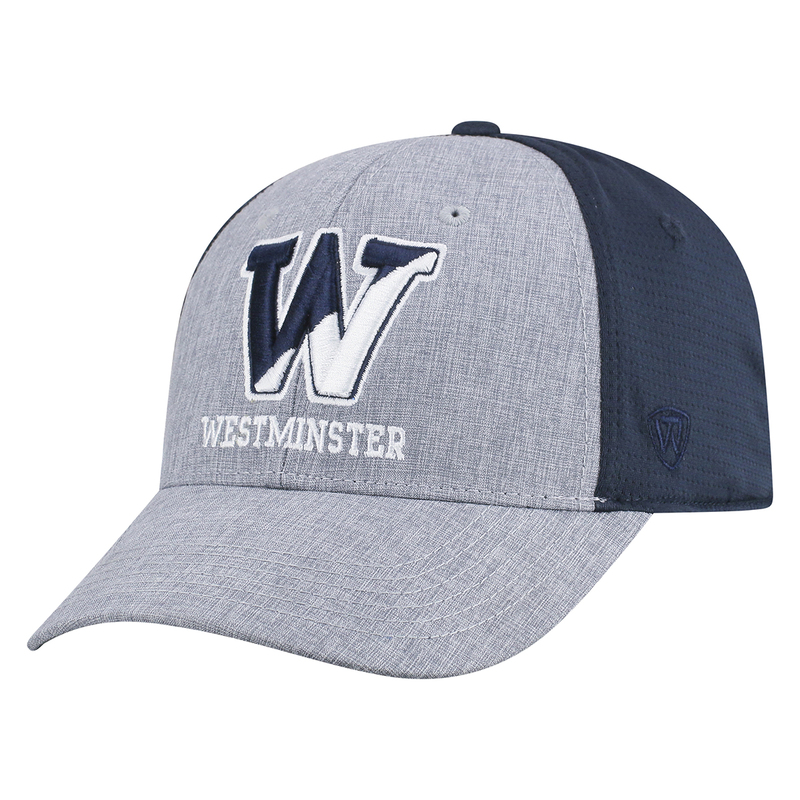 Available in Navy/Gray. Top of the World "New District" Cap features adjustable strapback closure. Constructed of soft combed cotton khaki fabric. Felt letters on front, with embroidery on back. Top of the World "Nightfall" Cap is constructed of black fabric/black mesh with 1Fit MemoryFit infused band. 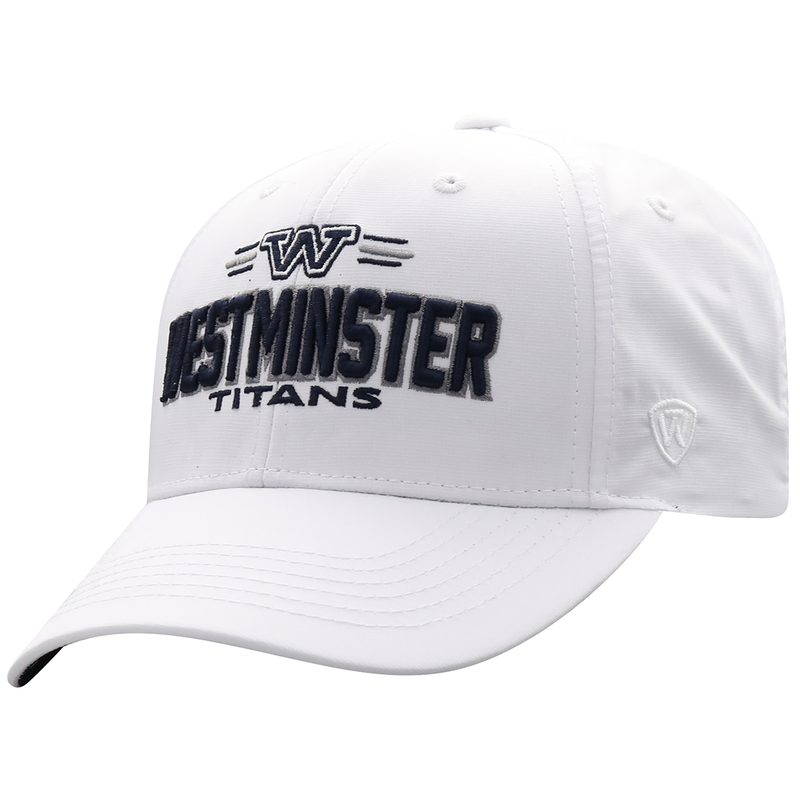 3D embroidery on front, screen print Titan with W on side mesh, with Westminster embroidered on back. Top of the World "On Deck" Cap features adjustable snap back closure. Constructed of white rip stop fabric. 3D embroidery on front. Top of the World "Raggs" Cap features adjustable snap back closure. Constructed of washed navy rip stop fabric/tan mesh. 3D embroidery on front, with W screen-printed on back label tag. Top of the World "Reach" Cap has three toned (navy, gray, and black) fabric and constructed with 1Fit MemoryFit infused band. 3D embroidery on both front and back. 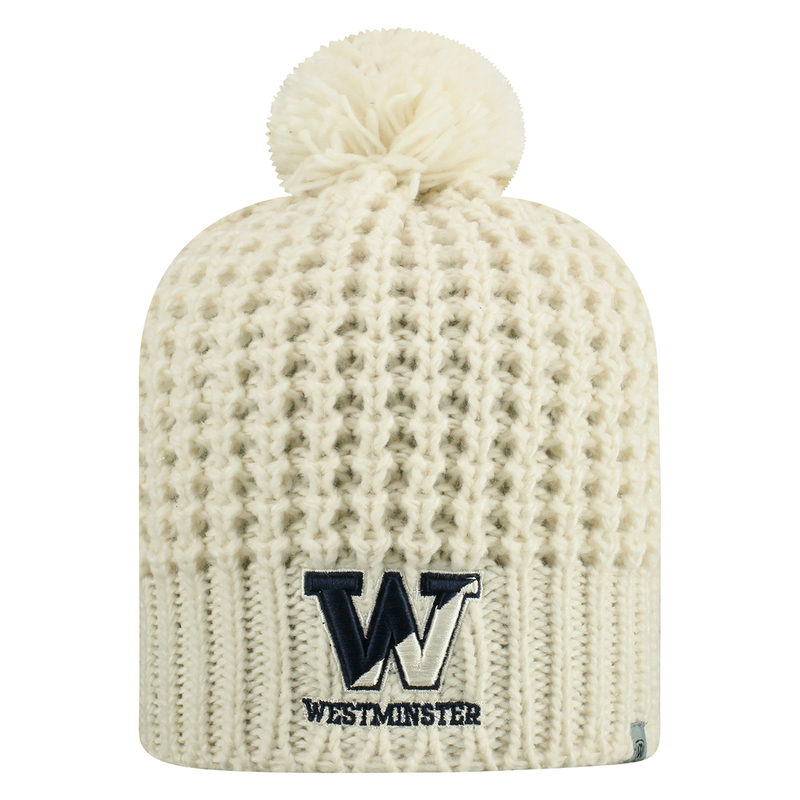 Top of the World "Slouch" Knit Beanie is uncuffed with pom. Super soft acrylic knit. 3D embroidered logo. Available in Oatmeal Ivory. 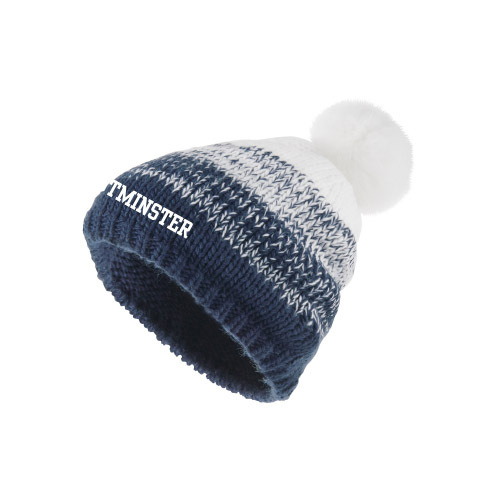 Top of the World "Sock-It-To-Me" Knit Beanie is cuffed with pom. Super soft acrylic knit. Available in Navy/Gray. Top of the World "Spade" Cap features adjustable snap back closure. Constructed of charcoal gray rip stop fabric/black mesh. 3D embroidery on front, with W screen-printed on back label tag. Top of the World "Turn 2" Cap is a gray wool hat with gray mesh back and navy bill featuring an adjustable velcro closure with screen printed Titans. 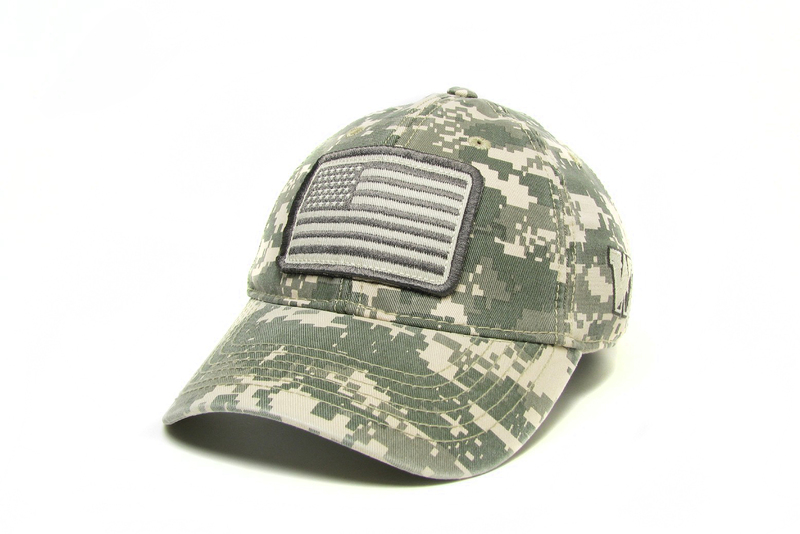 3D embroidery on front of cap. 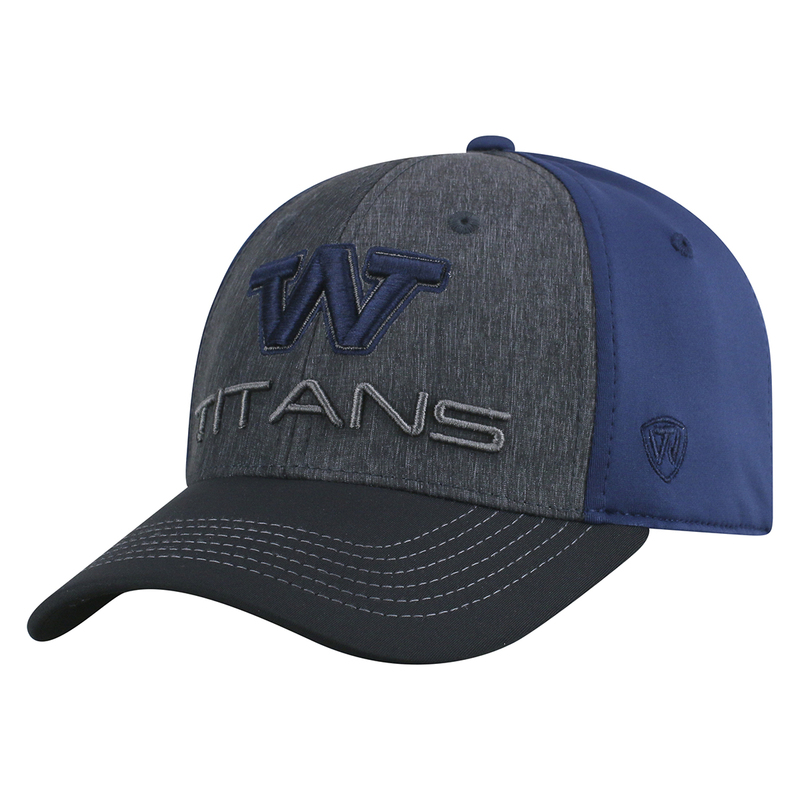 Top of the World FOOTBALL Cap features laser cut out football shape on bill and is constructed with 1Fit MemoryFit infused band. 3D embroidery on both front and back. 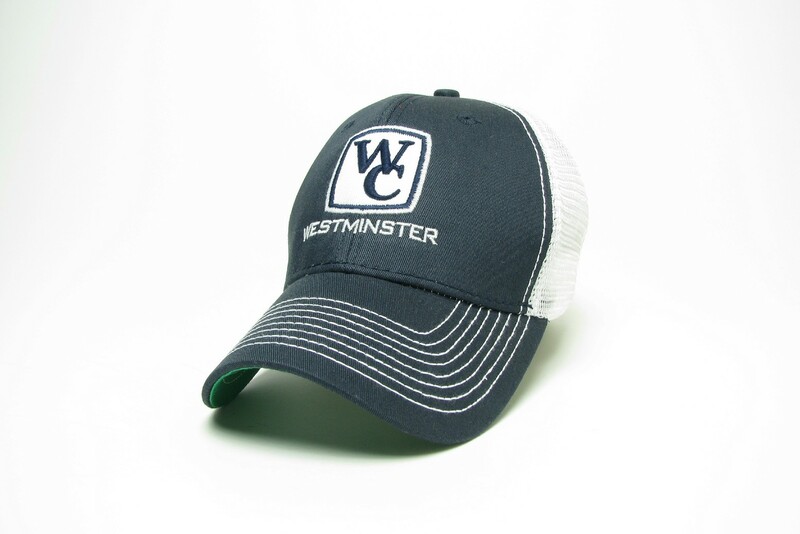 Two way stretch fit adjustable cap with Westminster 1852 embroidered on front. UA logo is embroidered on left side. 100% polyester. Available in White. 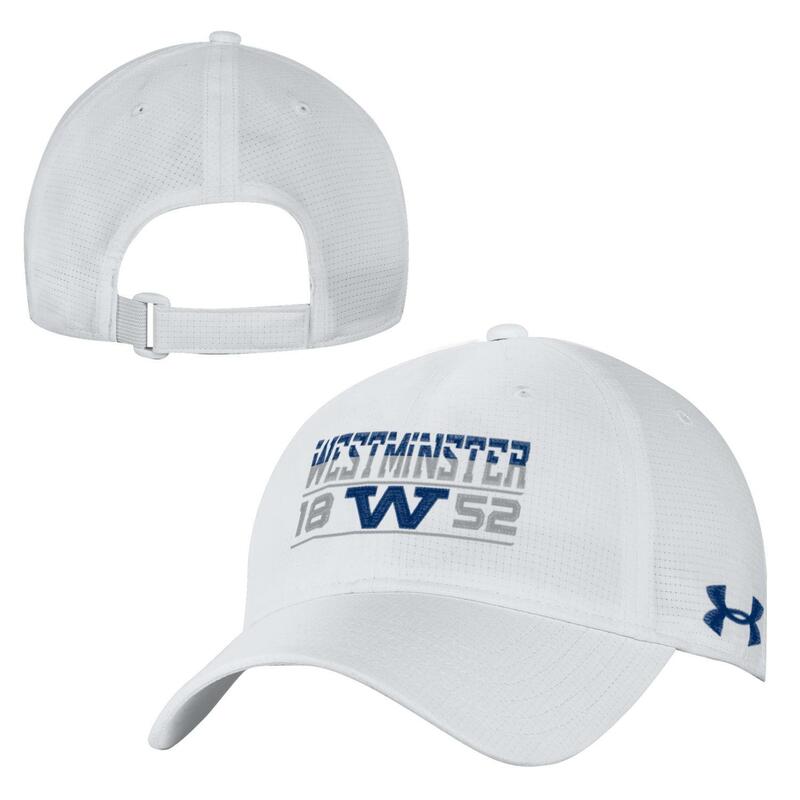 Please select option for Under Armour Adjustable Airvent Cap-White. 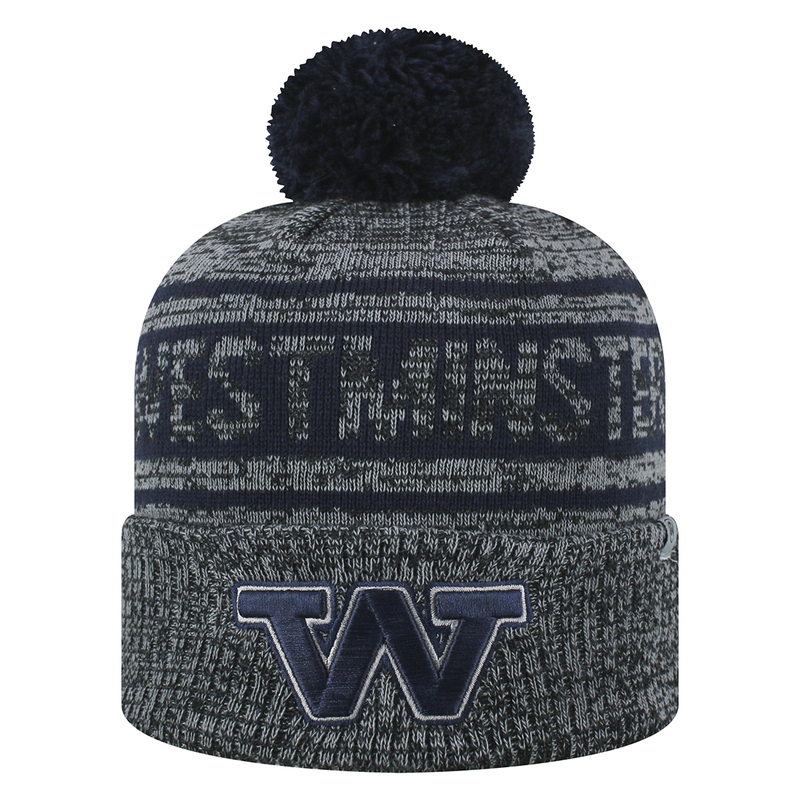 Cold Gear Beanie with over sized UA logo and embroidered Westminster College. 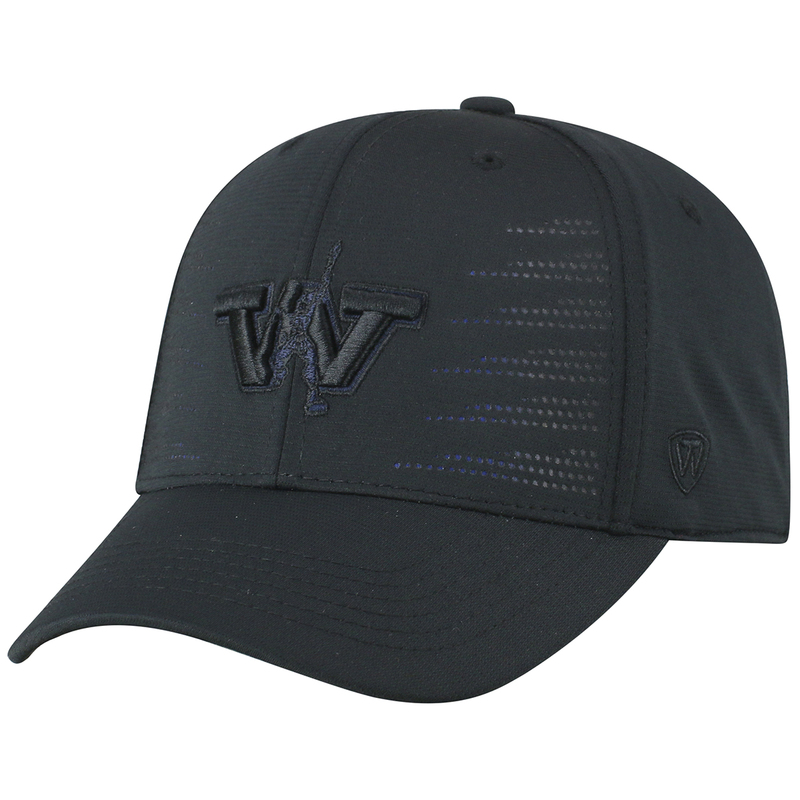 Available in navy/graphite. 100% acrylic. 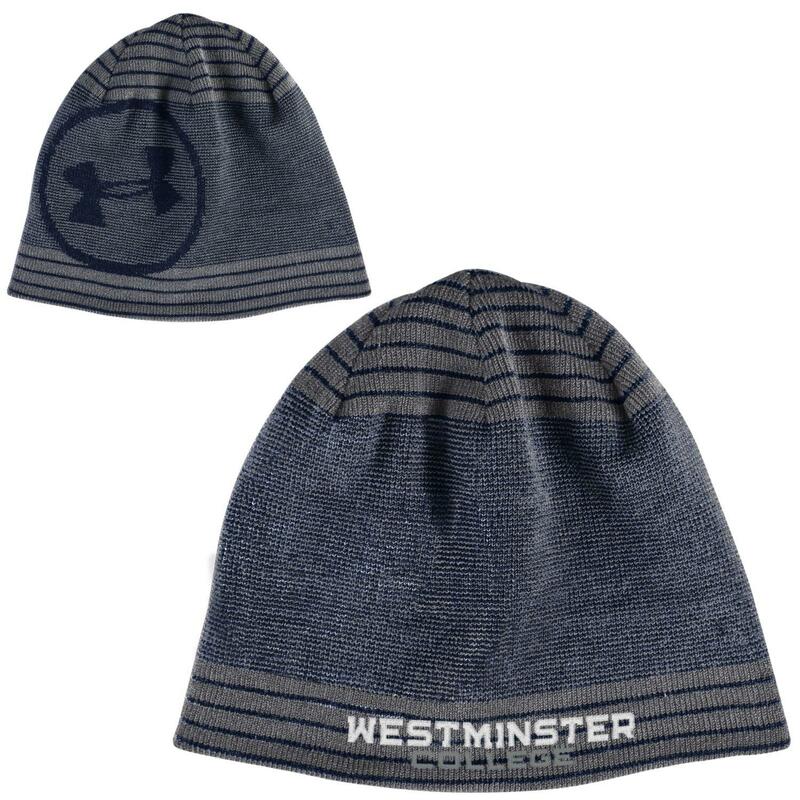 Please select option for Under Armour Billboard Beanie- Navy/Graphite. 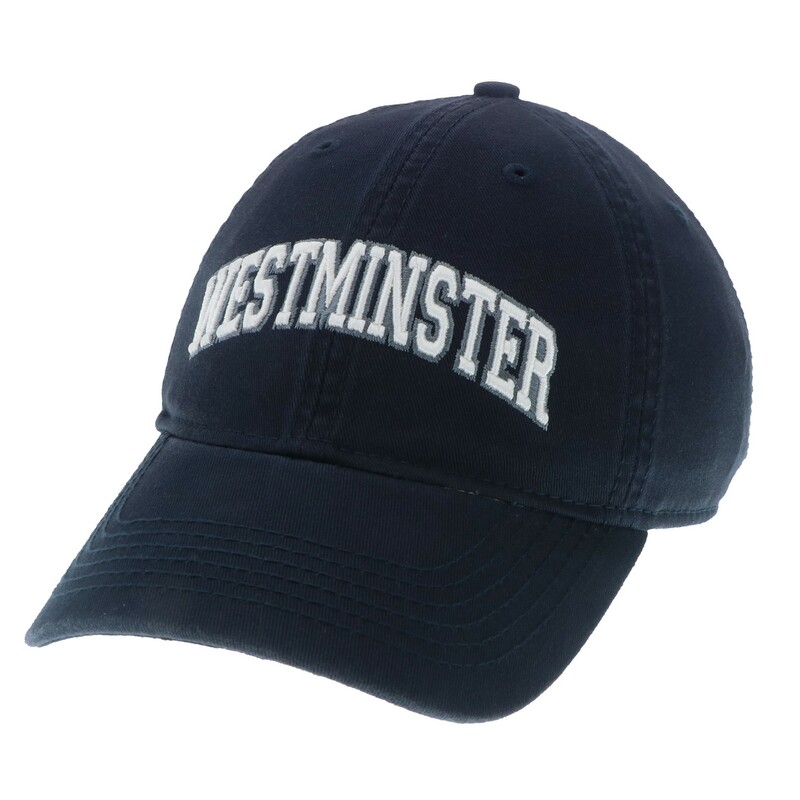 Two way stretch fit cap with Westminster SOCCER embroidered on front. UA logo is embroidered on left side. 100% polyester. Available in Navy. 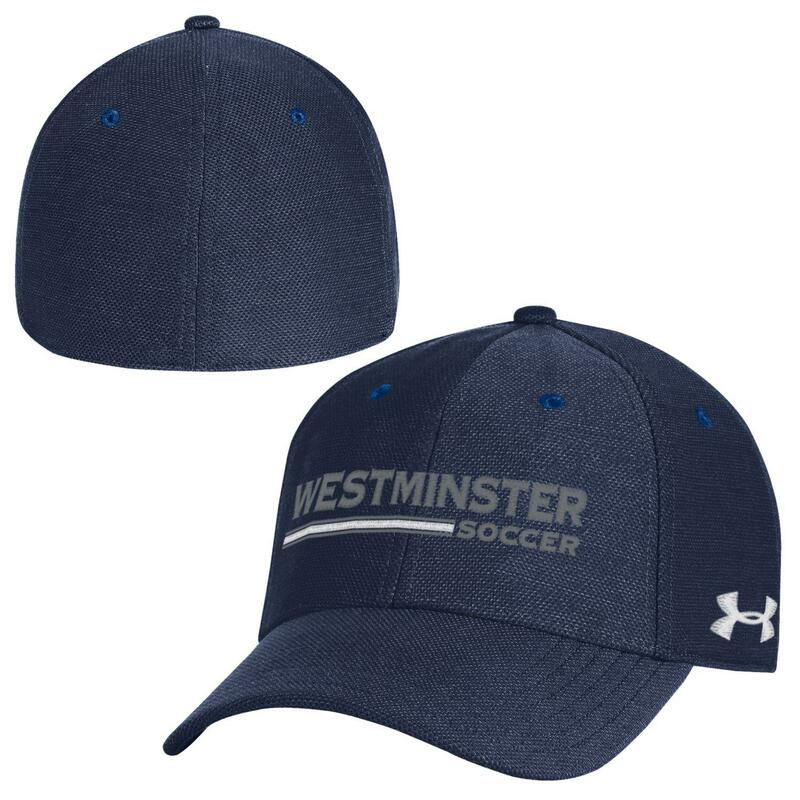 Please select option for Under Armour Blitzing 3.0 SOCCER Cap-Navy. 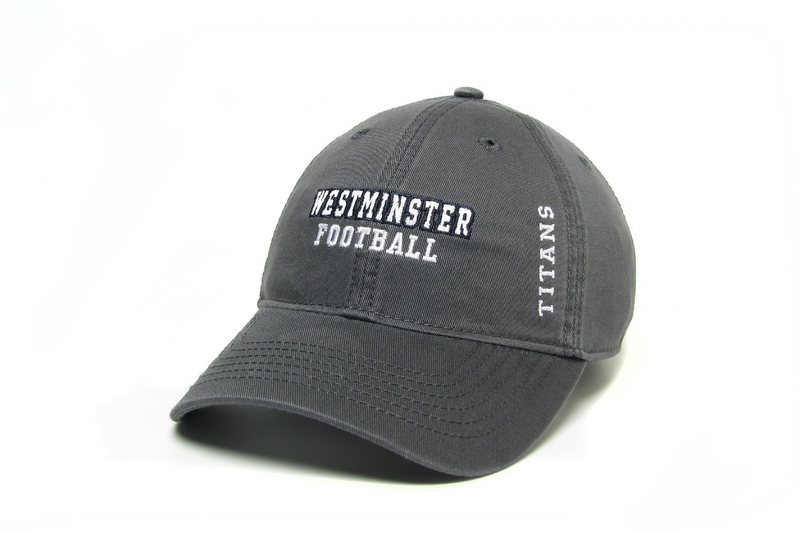 Two way stretch fit cap with Westminster Titans embroidered on front. UA logo is embroidered on left side. 96% polyester/4% spandex. Available in Graphite Gray. 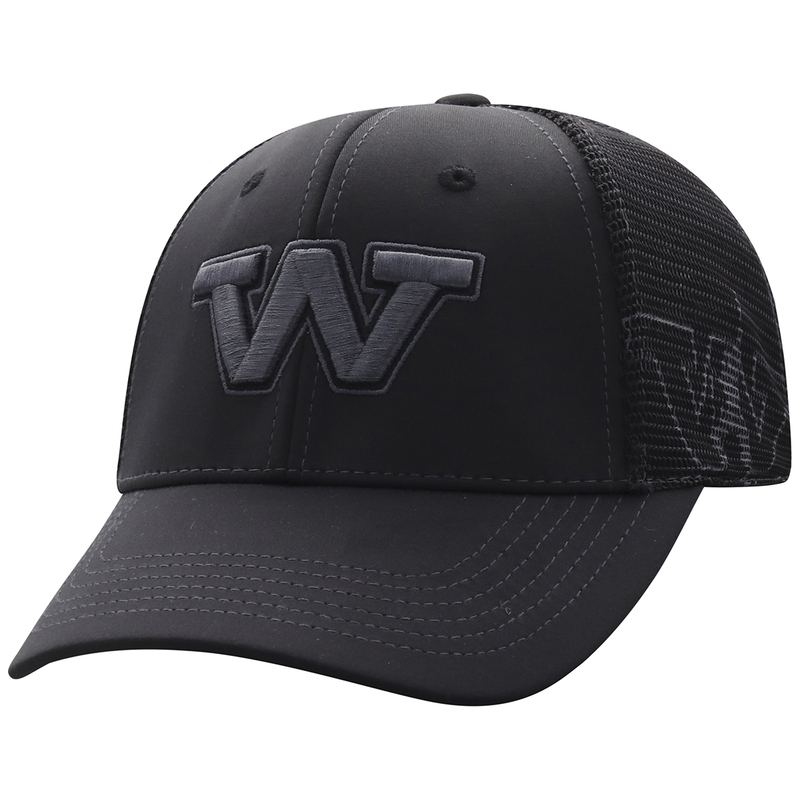 Please select option for Under Armour Renegade Stretch Fit Cap-Graphite Gray. 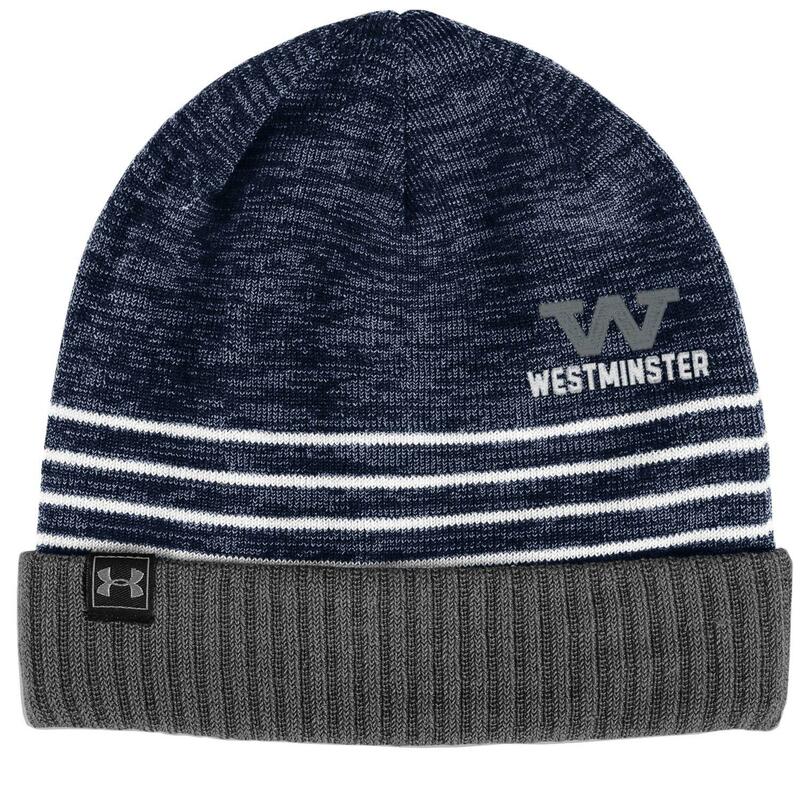 Form fitting, reversible, striped beanie shows embroidered Westminster SOCCER when cuffed, or Under Armour logo when not cuffed. 100% acrylic. Navy/Graphite. 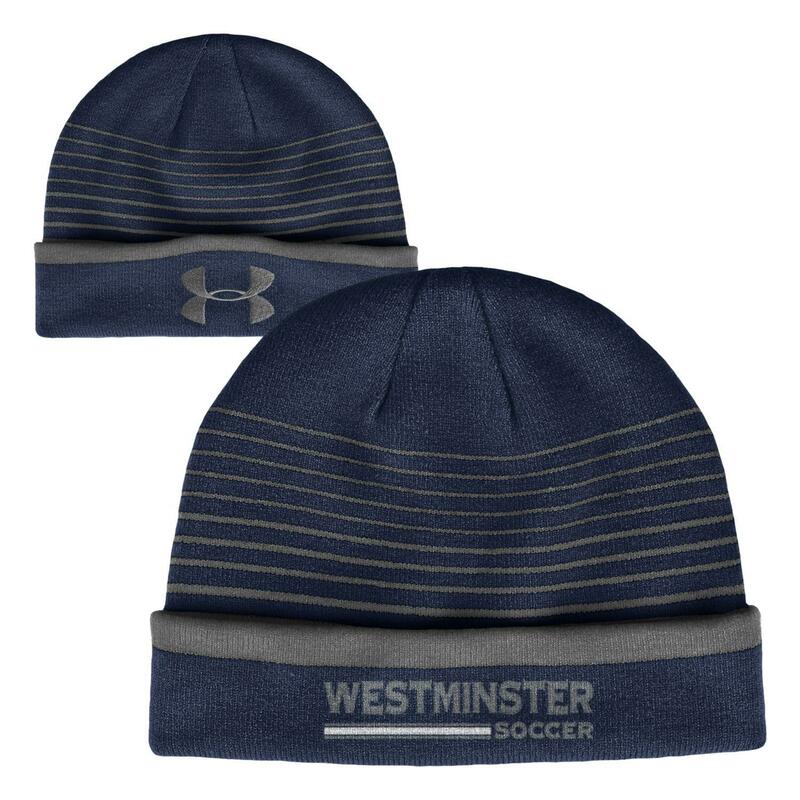 Please select option for Under Armour Switch It Up II SOCCER Beanie. 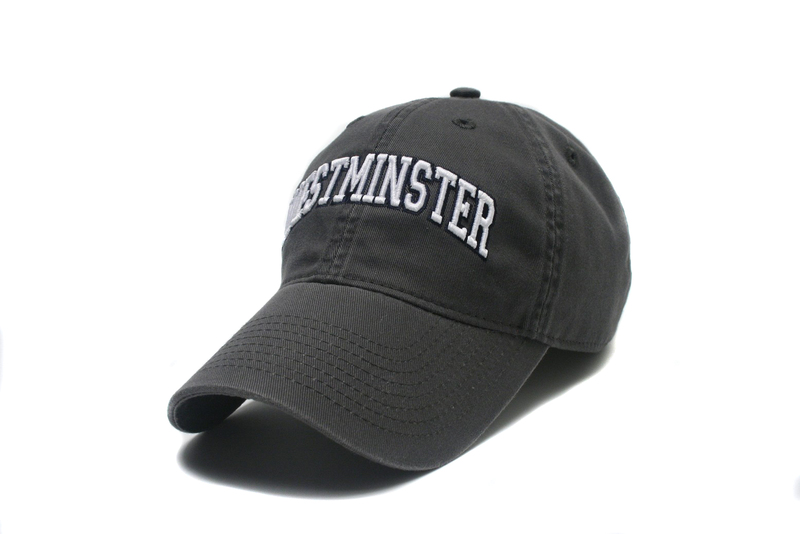 Relaxed unstructured stretch fit cap with Westminster College embroidered on front. UA logo is embroidered on left side. 100% polyester. Available in Navy. Please select option for Under Armour Threadborne Closer Cap-Navy.